on 2.03.17 in Awards . Leonardo award promoted by the Leonardo’s committee. 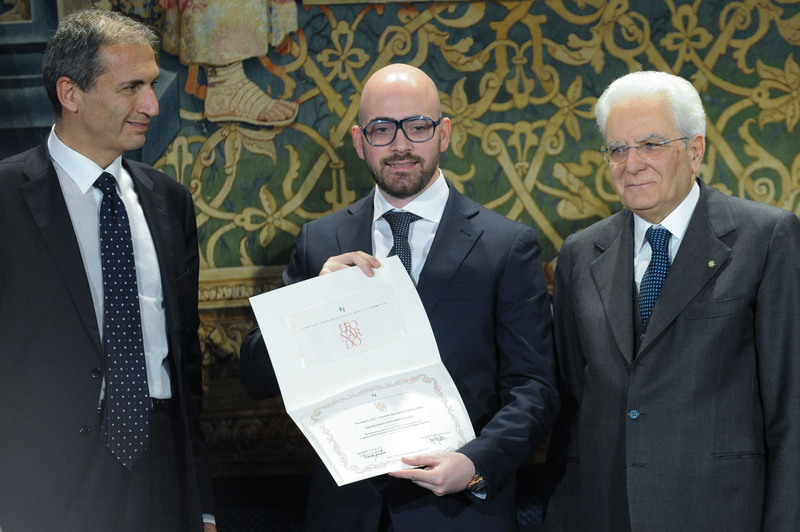 Italian award Leonardo to Francesco Galizia from the Presidente Mattarella. The Leonardo commitee annualy awards the Italian Excellence of the “Made in Italy” at different levels and sectors incluiding sports, sustainability, fashion, navigation and the international development of the Italian companies. This morning at the Italian governmental palace Quirinale, counting with the presence of the President of the Italian Republic Sergio Mattarella, the Leonardo awar ceremony took place. One of the awarded sector was in the frame of the innovation at the company and acdemic level. 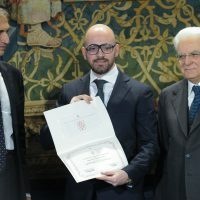 Particularly this year the Leonardo award for the best graduation thesis was to Francesco Giovanni Galizia, graduated from Geology and Territory at the Science School of the University of Bologna. 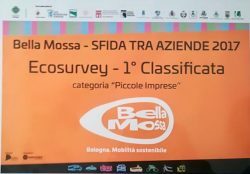 He has fully responded to the requirements of the award call and especially has been prepared using empirical-experimental analysis, with immediate applicability of the results. The thesis is characterized also by a high level of interdisciplinary, with an eye to the sustainability of the installation as a whole, while providing a practical response to current environmental requirements of our country’s territory.